Forward-looking: Holograms are among the holy grail of sci-fi lore. There’s something inherently attractive about being able to view objects with depth and with The Looking Glass, you’ll be able to do just that... so long as your wallet can handle it. The Looking Glass is a holographic display designed by and for 3D creators. 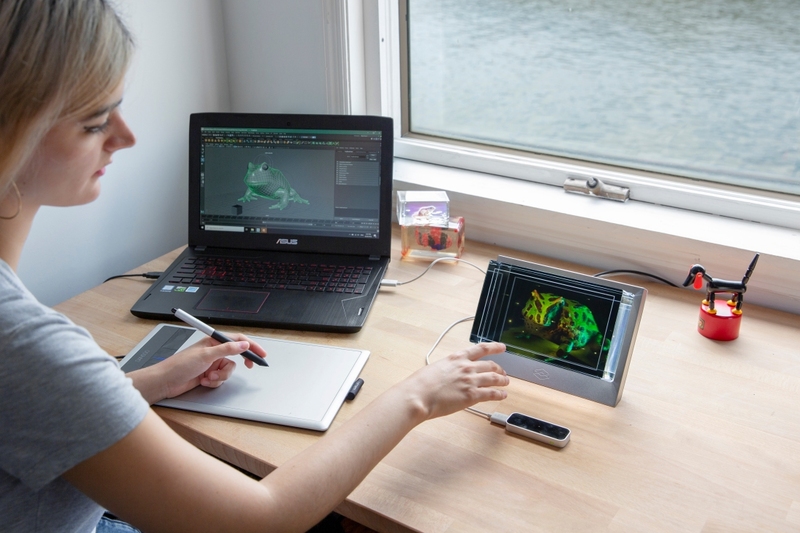 Offered in two sizes (8.9 inches and 15.6 inches), it creates 45 simultaneous views of a three-dimensional scene which allows multiple people to view different parts of a scene at the same time. The display is a bit bulky – the bigger one weighs nearly 19 pounds – and is meant to sit stationary on a desk as a showpiece versus something you’d carry around. Another limiting element is the fact it has to be connected to a computer to run. Its creators recommend at least an Intel Core i5 CPU, an Nvidia GTX 1060 or better and at least 4GB of RAM. On the flip side, the Looking Glass will be compatible with a wide range of peripherals including the Nintendo Switch Joy-Con controllers, Intel RealSense, Microsoft Kinect, Xbox controllers, Arduinos, the Leap Motion controller and more. The Looking Glass is seeking funding on Kickstarter and judging from its early performance, it’ll be a hit. The campaign has already hit its $50,000 funding goal with 30 days remaining. A pledge of $399 is needed to get in on the early bird special (normally $600) for a standard-sized Looking Glass. If you want the bigger model, be prepared to shell out at least $1,999 (regularly $3,000). The first batch of units are expected to ship out this September.